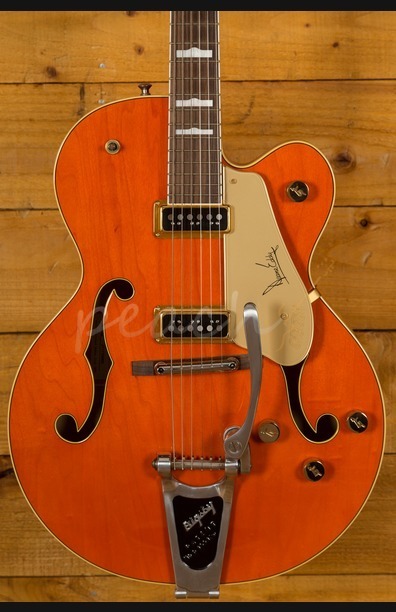 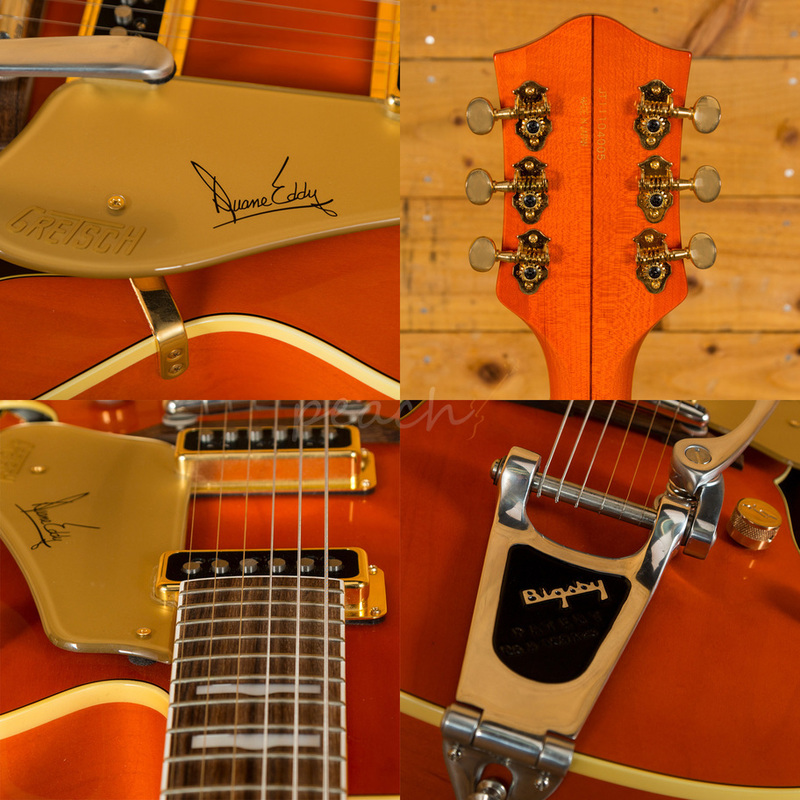 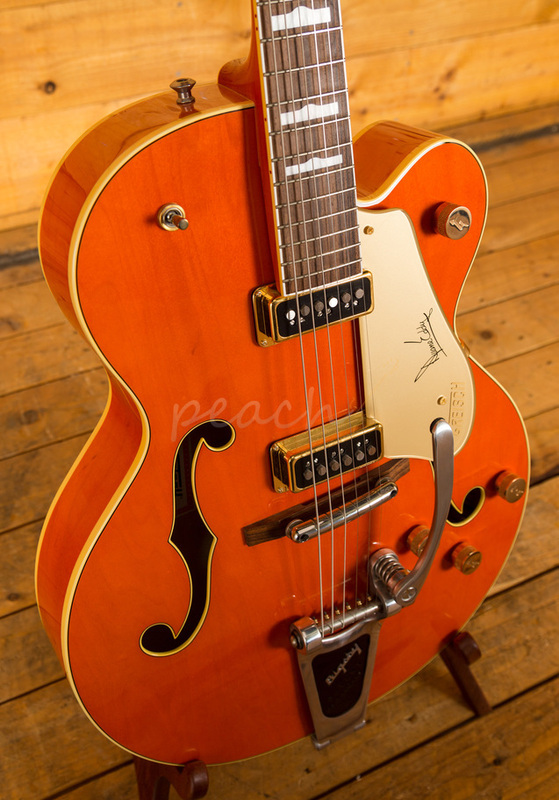 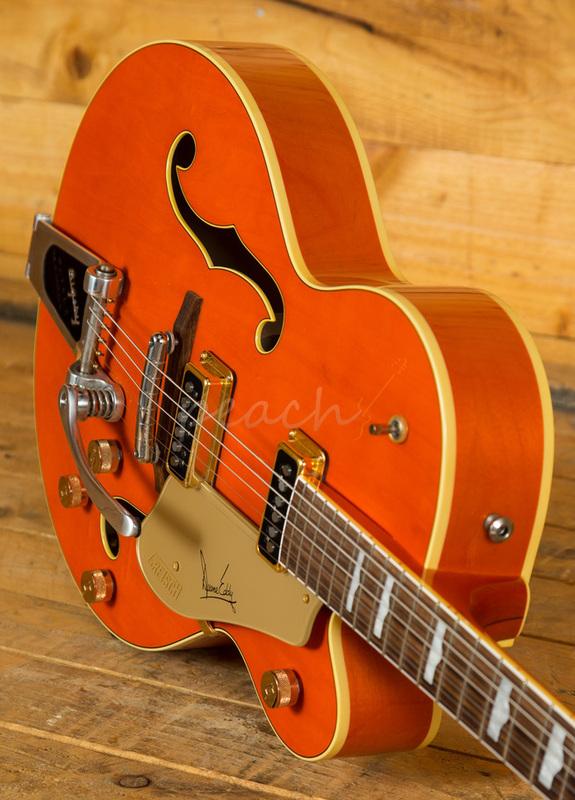 The Gretsch G6120DE Duane Eddy, is an eye-catching take on one of Gretsch's most favoured models. 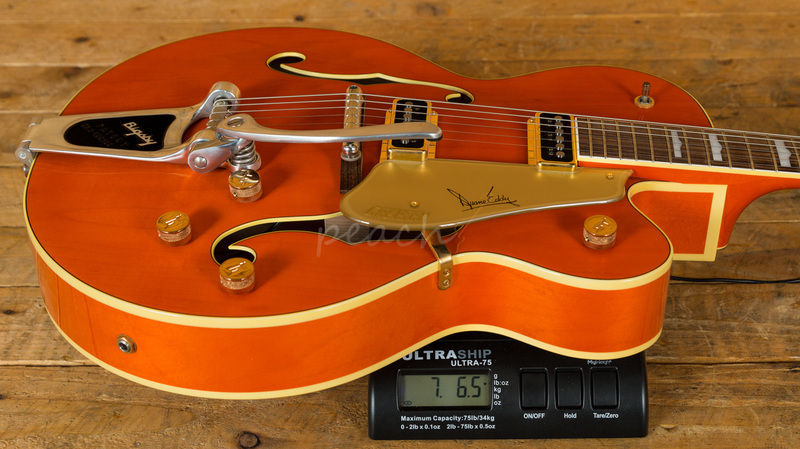 With a slick 3-ply Maple top, back and sides, the G6120TM is simply stunning. 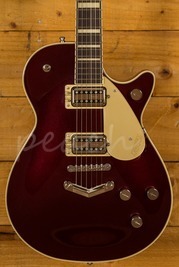 The chrome hardware and Bigsby B6CBDE tremolo adding to the prestige appeal and offering the ability to accurately and reliably replicate those killer country trem lifts. 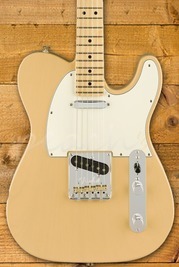 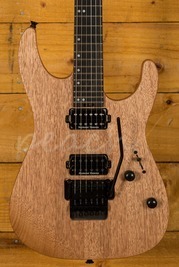 A Maple neck with Rosewood fingerboard has a comfortable 12" radius and a 24.6" scale length. 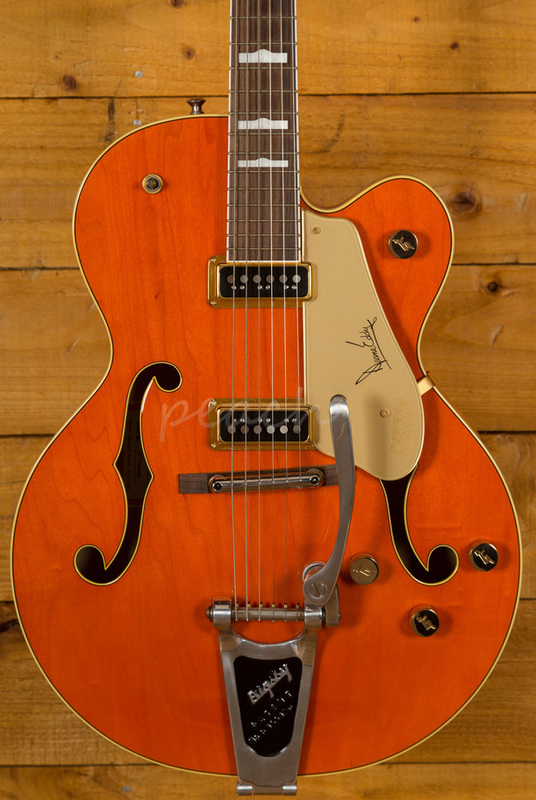 This guitar delivers all the vintage Gretsch tones you could need with two DynaSonic pickups, as used by Duane himself. 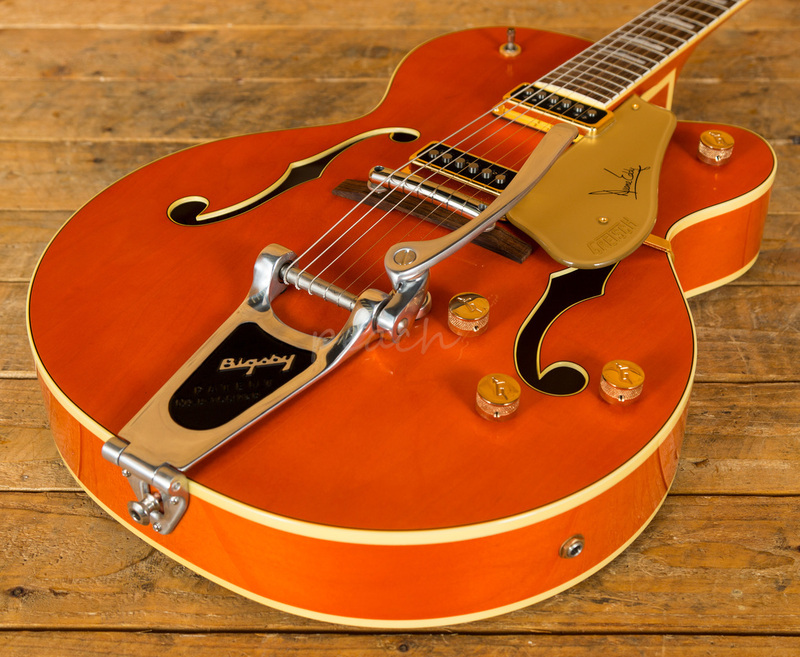 With a rich, open tone and an enhanced dynamic range, these pickups are designed to be super sensitive to your right hand-picking style. 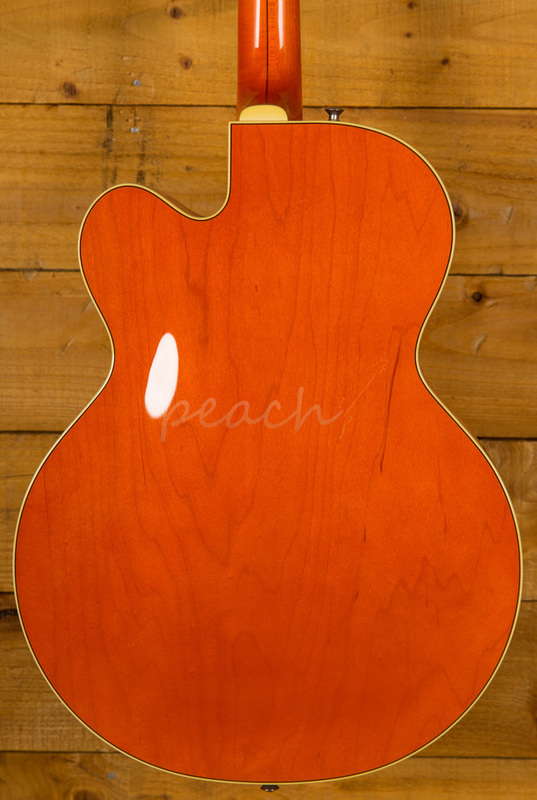 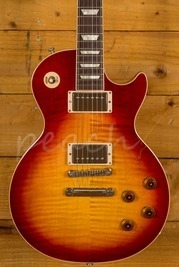 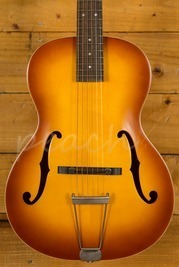 Premier build quality and supreme tones, this is a real players guitar!